Soon after the release of Veedon Fleece in 1974, Van Morrison was already talking about a follow-up album. 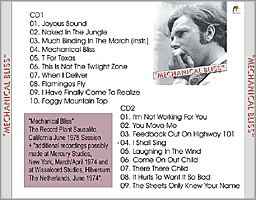 Several titles have been associated with the album - Naked In The Jungle, Not Working For You, Stiff Upper Lip - but the one common to most fans is Mechanical Bliss. Due to whatever reasons, the album was never released and, as the wikipedia reported, "Morrison later was to say the project was nothing more than an extended jamming session." But the songs were recorded and Morrison fan David Chance has tried to piece together the lost album, which at one time was scheduled for a February 1975 release. 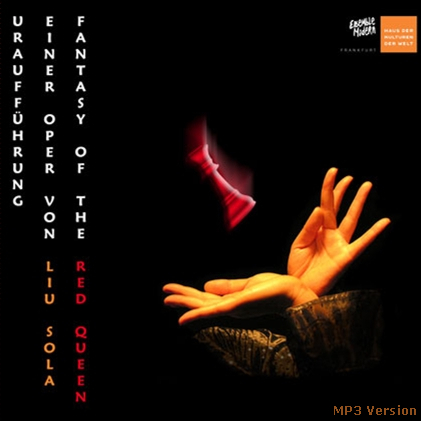 Total play approximately 46 minutes with 7-second blank song-separations. The artwork notes: "Mechanical Bliss - The Record Plant Sausalito, California June 1975 Session + 'additional recordings possibly made at Mercury Studios, New York, March/April 1974 and at Wisseloord Studios, Hilversum, The Netherlands, June 1974'." These stereo soundboard tracks can be rated between very good and excellent minus. Unfortunately, the musicians for these sessions have never been positively identified. 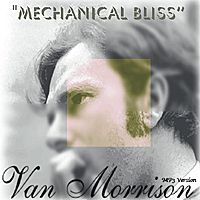 In 1977, Van Morrison would go into the studio and the result was A Period Of Transition, which featured a version of Joyous Sound. The song was also released as a 7-inch single together with Mechanical Bliss in 1977. As far as we are aware, none of the tracks recorded in 1974 and 1975 have been officially released. "Another superb cover showed a man asleep on a Boston bus station bench as skyscrapers and angry skies towered above him. Each building had a different animal's snarling head superimposed onto it. At the center of the cover was a king cobra about to strike at a mongoose on the neighboring edifice. The skyscrapers had been painted by Zox for a Van Morrison album cover. When Morrison abandoned his project, photographer Charlie Ganse and Ed Caraeff came up with the idea of using Ganse's photo of the vagrant with the Zox painting. They took the photo to a Hollywood specialist and succeeded in matching the tone of the painting." The (completely speculative) artwork [shown above] was sent in by Van fan Volker Klar, who modified the artwork of the Steely Dan album. 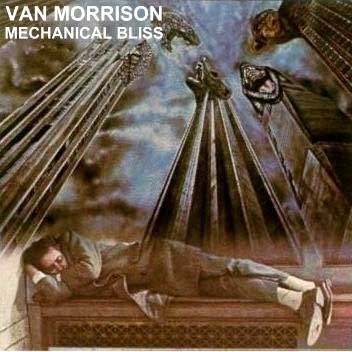 To further fan speculation on Van's "missing album", Volker also notes encountering a reference in a German book Rock Lexikon (Schmidt-Joos/Barry Graves, Rowohlt) from February 1975: "there is a chapter about Van Morrison with a list of albums in it. On page 244 you can find '[...] Stiff Upper Lip (1975)'." These tracks are no longer available for download. Click here to order Van Morrison's A Period Of Transition.